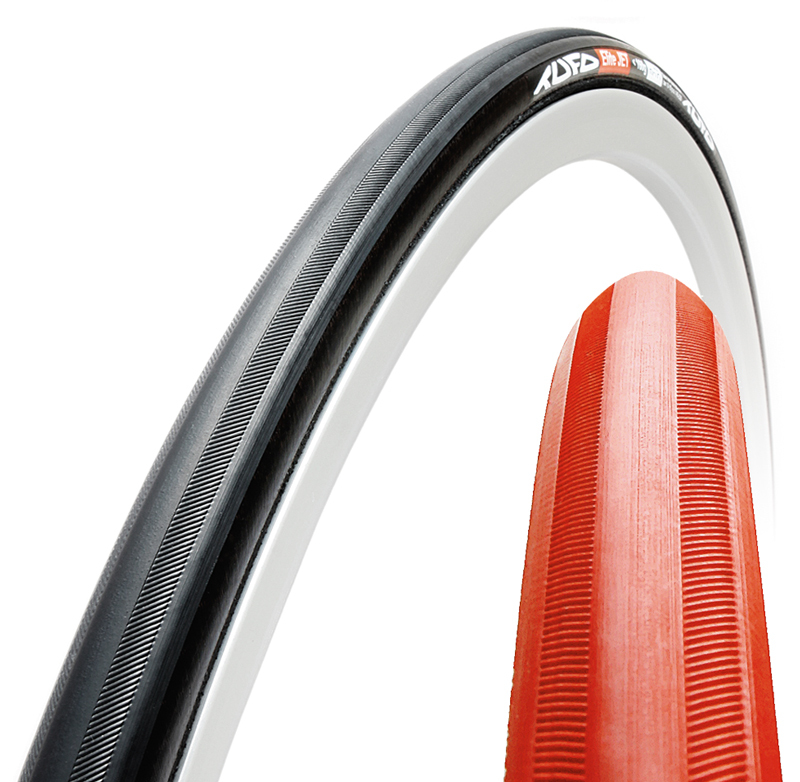 All-round open racing/training tyre with 23 or 25 mm diameter. Bead to bead sideskin protection and puncture proof ply under the tread effectively decreases the possibility of punctures. The fine tread pattern together with LPS Silica tread compound provides excellent adhesion on wet or dry surfaces. 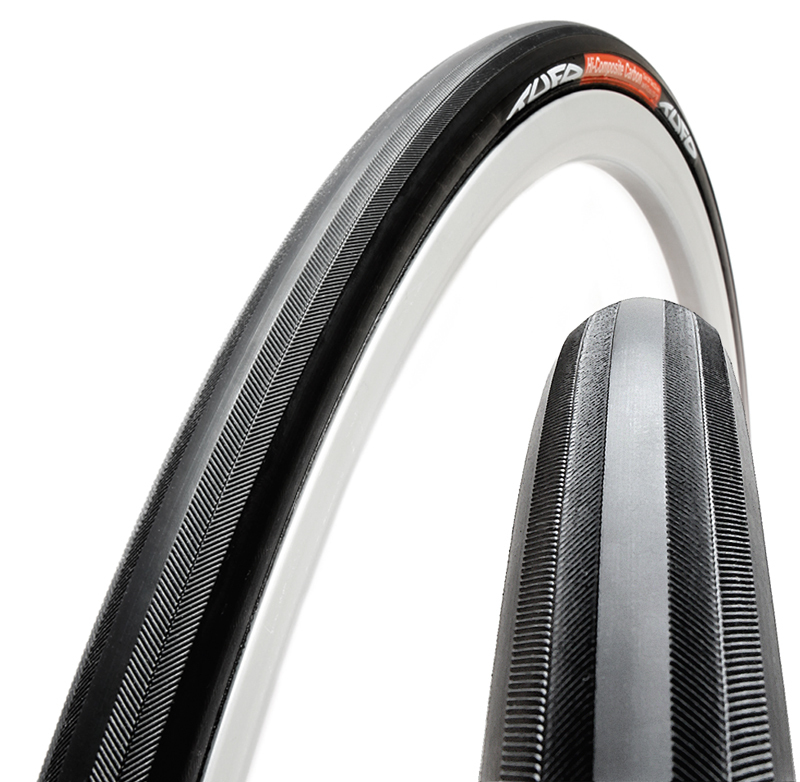 A very lightweight road racing tyre with 23 or 25 mm diameter. 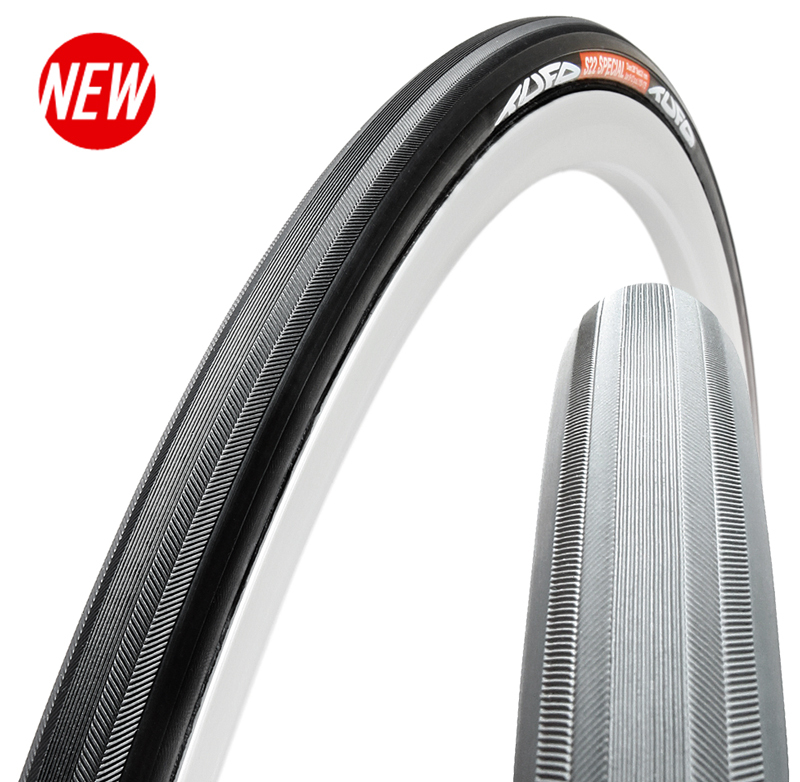 Slick tread centre with side grip pattern for extra speed and excellent riding properties on wet or dry surfaces. Good puncture resistance. 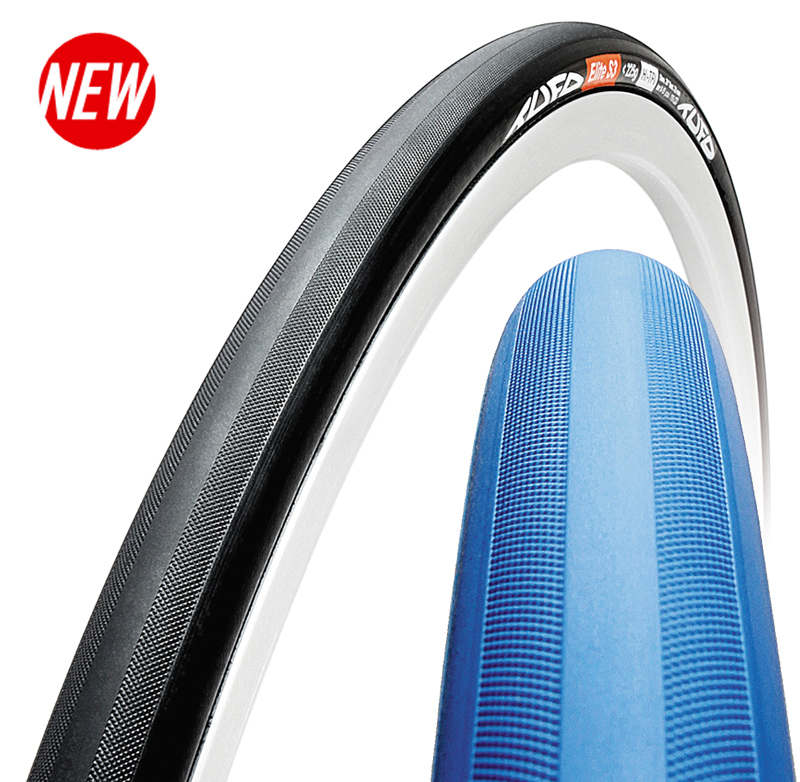 The lightest tyre in the range with guaranteed specified weight, 23 mm diameter. Intended for time trials and road races with good surfaces. In spite of super low weight this tyre has good puncture resistance. 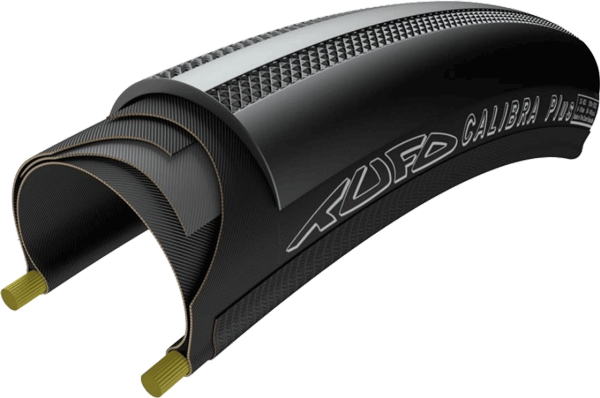 The slick tread contributes to the low rolling resistance. 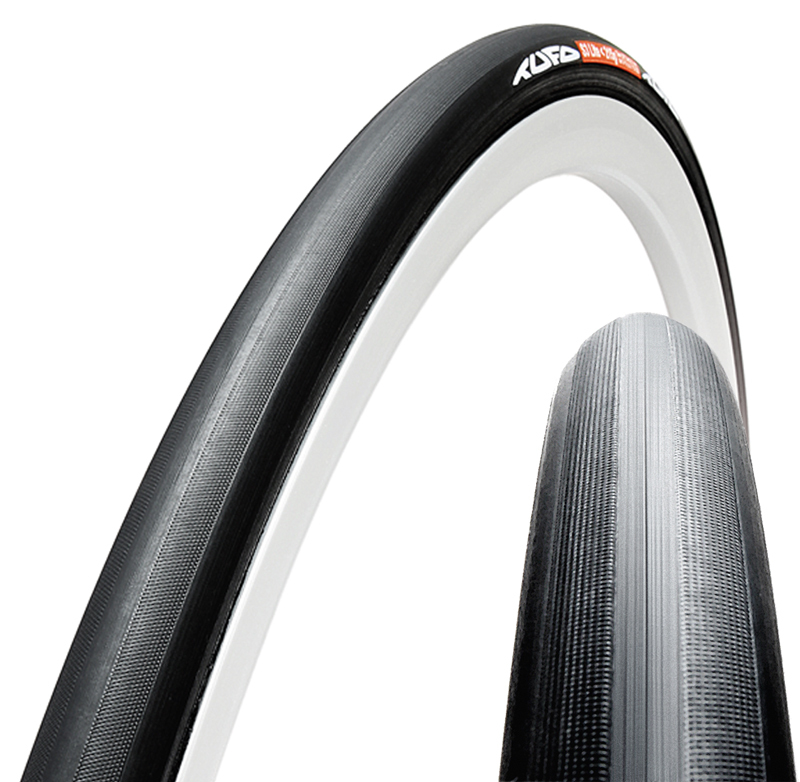 This tyre model provides a comfortable, smooth and fast ride with a minimum of vibrations even in the most demanding conditions of road cycling. The wide tyre tread overlapping the sidewall and the puncture proof ply in the middle of the tread effectively decrease the possibility of punctures. Puncture Proof Ply Protective Rubber Ply SPC Silica tread compound. 23 mm: 315 grams, inflate to 8-15 bar (115-220 PSI). 25 mm: 355 grams, inflate to 6-10 bar (90-145 PSI). TPI count: 210 sidewall, 375 under the tread. Grey models now discontinued, reduced prices! 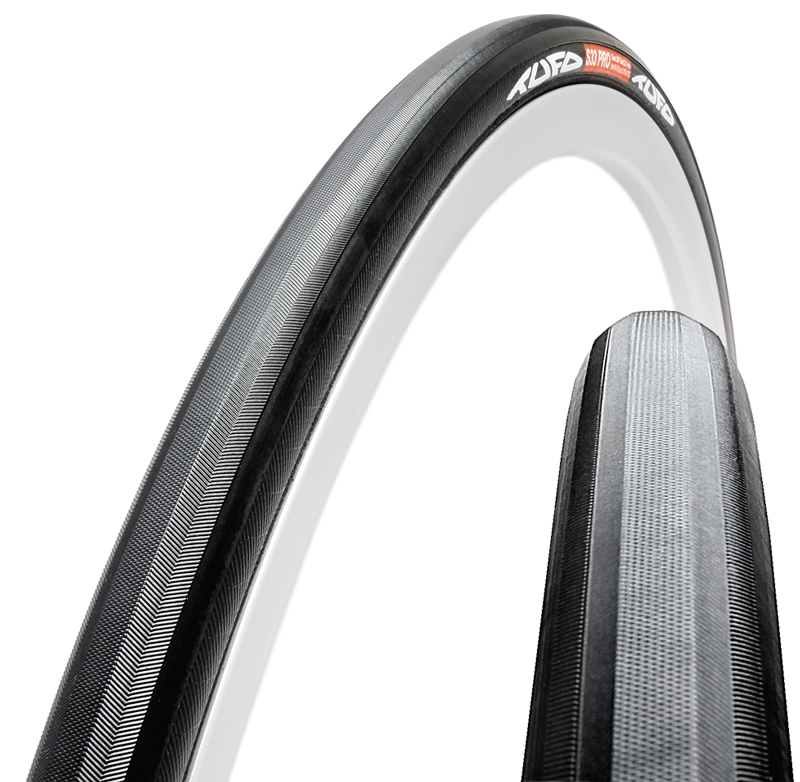 A tubular tyre of guaranteed specified weight, overall weight for the clincher tubular is 295 grams. Despite the low weight this tyre offers very good puncture resistance and high mileage. This is an enhanced successor to Tufo`s best selling S3 Lite. Weight: 23 mm: < 295 grams, inflate to 8-15 bar (115-220 PSI). TPI count 210 sidewall, 375 under the tread. 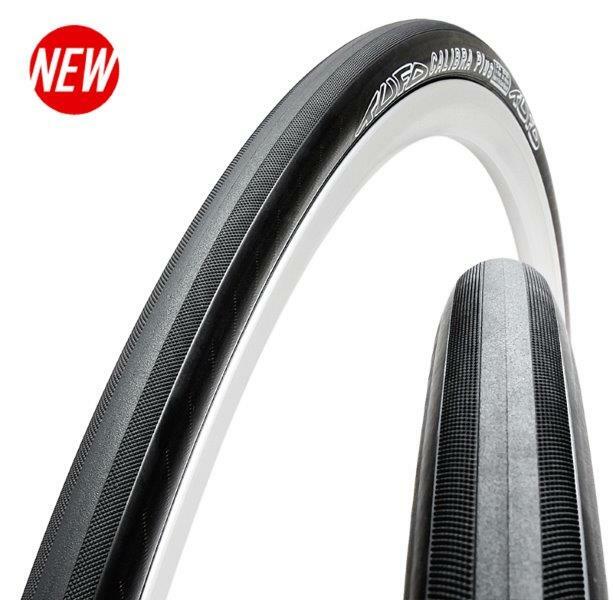 The C S22 Special racing/training clincher tubular with classic tread pattern offers high mileage and excellent puncture resistance. Grooves in the center of the tread ensure good tracking while the rugged arrow shaped pattern on the tread shoulders provides superb cornering traction. Puncture Proof Ply CRCA Ply SPC Silica tread compound. Weight: 335 grams 21 mm, inflate to 8-15 bar (115-220 PSI). TPI count: 120 sidewall, 240 under the tread. Training tubular clincher for all round use with high inflation pressure. The fine tread pattern contributes to low rolling resistance and good riding quality. Carbon Black tread compound. 21 mm: 335 grams, inflate to 8-12 bar (115-175 PSI). 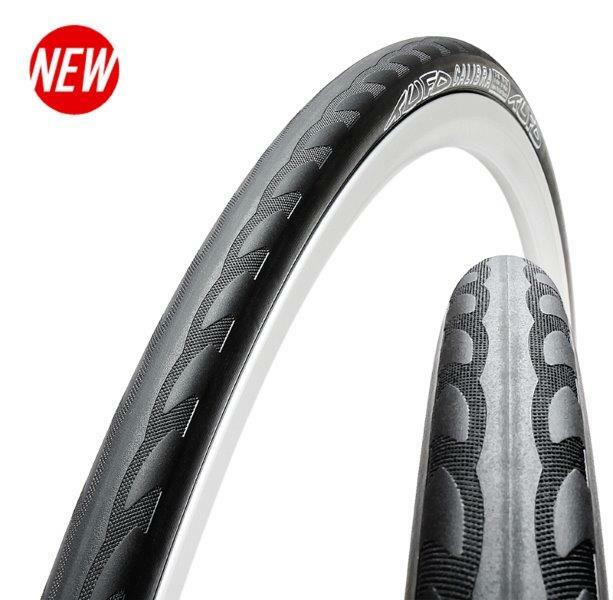 24 mm: 385 grams, inflate to 6-8 bar (90-115 PSI). TPI count: 60 sidewall, 90 under the tread. 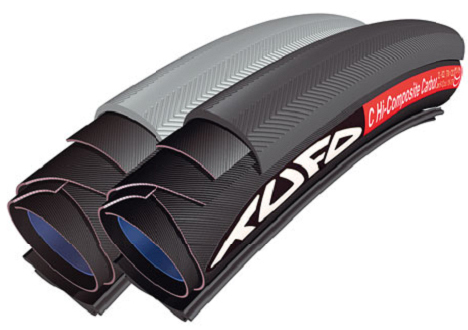 Discontinued model, reduced to £29.95 Great time trial tyre! 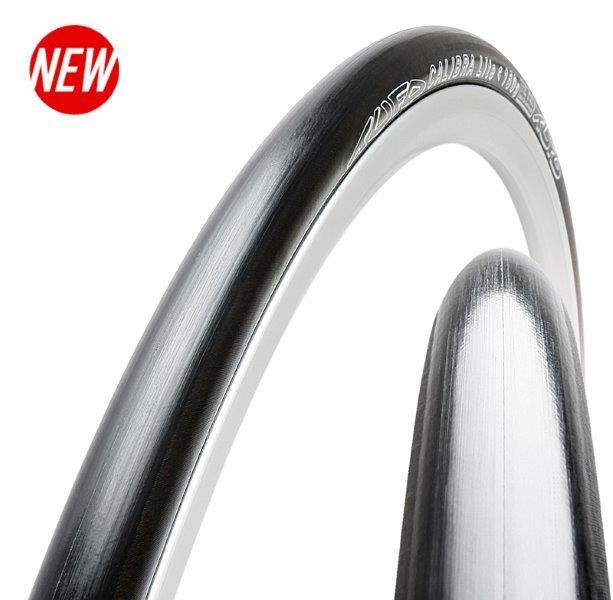 Tubular clincher tyre in 28" for use on smooth surfaces. Despite the incredibly low guaranteed specified weight this model has very good puncture resistance and mileage. Possibility of high inflation pressure provides for minimal rolling resistance. Grey tread is discontinued, reduced to £24.95! The application of a composite puncture proof ply and high composite carbon tread compound makes it possible to use a thinner tread and still maintain high mileage. The thinner tread also lowers the rolling resistance while the tyre is maintaining ideal shock absorption properties and high puncture resistance. 22 mm: 335 grams, inflate to 8-12 bar (115-175 PSI). 25 mm: 375 grams, inflate to 6-8 bar (90-115 PSI). Guaranteed specified weight. 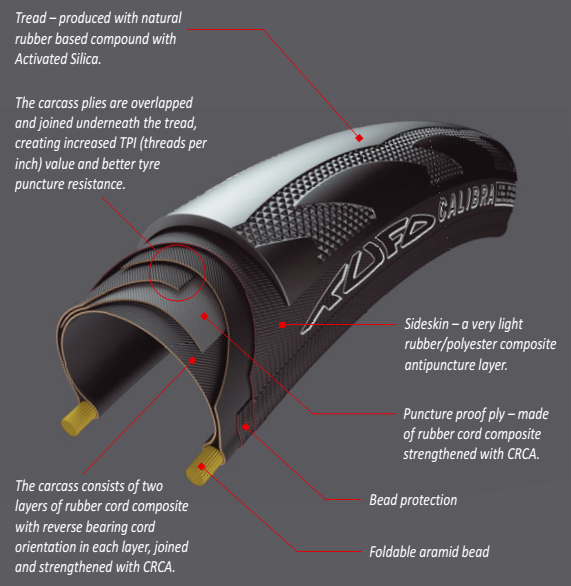 (TEW = tubular equivalent weight) Our best selling road racing tyre. Very unique properties in this tyre weight category. High inflation pressure - minimal rolling resistance. Good wear characteristics and puncture resistance.Activated silica tread compound. Discontinued model, reduced to £26.40! Very popular model with high mileage capability and excellent puncture resistance. Fine tread pattern contributes to low rolling resistance and good ride quality. 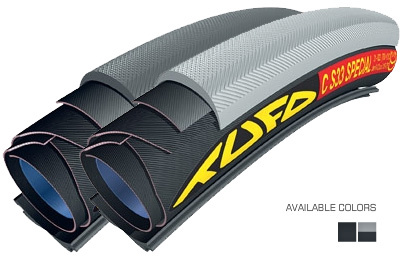 Similar to the Hi Comp Carbon, with thicker tread and fine tread pattern in the tyre crown. Activated silica tread compound. Pressure: 8-12 bar (115-175 psi).